Pavlovsk - the famous palace and park ensemble of the late XVIII - early XIX centuries, which is located in the modern suburb of the Northern capital. The center of the ensemble is Pavlovsky Palace, which served as the summer residence of Paul I. 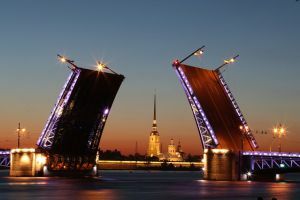 Around the palace and along the banks of the river Slavyanka there is a park of 600 hectares, which makes it one of the largest parks in Europe. Walking along the complex is best to start from the palace. It was built in 82 year of the XVIII century by the project of the architect from Scotland, Charles Cameron. In comparison with Ekaterininsky, from appearance, the Pavlovsky Palace looks rather modest, after all it was built not for the imperial residence, but for the grand prince's (14 years until the reign of Paul I). 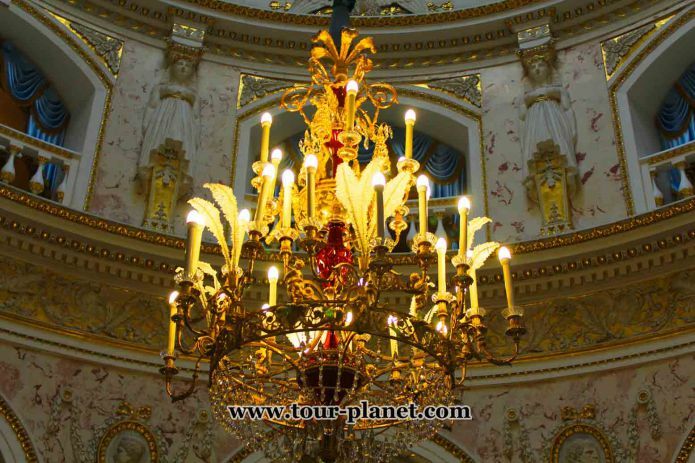 By internal chambers, one can judge not so much of the wealth of the owners, but rather of the exquisite and refined taste of Maria Feodorovna and Pavel Petrovich. All the collections of the Pavlovsky Palace are associated with the European journey of the imperial family in 1781-1782. In this period family brought paintings, porcelain sets, furniture, fabrics, antique sculptures and many other generous gifts from the kings of Europe. The scheme of the building is like a homestead in the Russian style: the colonnade is adjacent to the central building. The lobby of the palace is decorated with Egyptian statues. The main facade is framed by outbuildings and galleries surrounding the front yard. Pavlovsky Palace looks like the horseshoe. In the center of the courtyard in 1872, a monument to Paul I was built. The general composition resembles the square in front of the Versailles palace with the monument to Louis IV. From the palace interiors attention is drawn to the Greek and Italian halls. Greek Hall, was created by A. Voronikhin and V. Brenna, and this name was given to it because of the decorations in the antique spirit: marble statues in niches, columns, lamps hanging on chains between the columns. The Italian hall, with a dome light, was designed by Cameron himself, but was made by V. Brenna, and later A. Voronikhin. In the hall there is an antique marble sculpture. The picture gallery deserves attention. 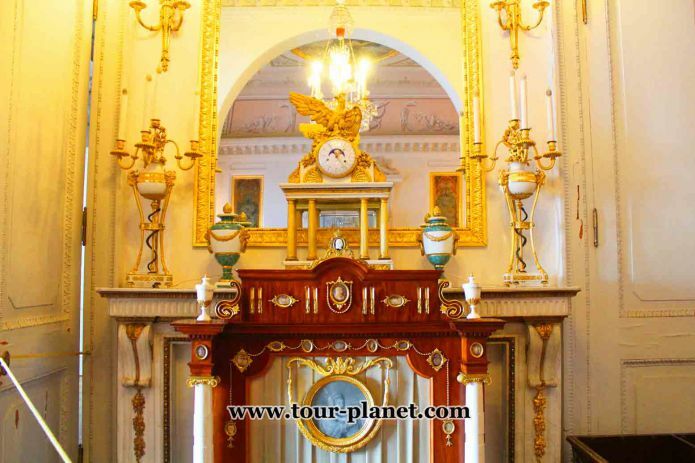 This hall is a tradition of the 18th century, when such galleries were an integral part of Russian palaces. The Picture Gallery includes paintings by Dutch and Italian masters. Great Hall can surprise you by its size. Its area is 400 square meters. Initially, it was supposed to be served as a ceremonial dining room, but later the imperial throne was placed in it, so the hall became - the Throne hall. The height and size of the hall are emphasized by a plafond, decorated with paintings, on which the colonnade goes to the sky. 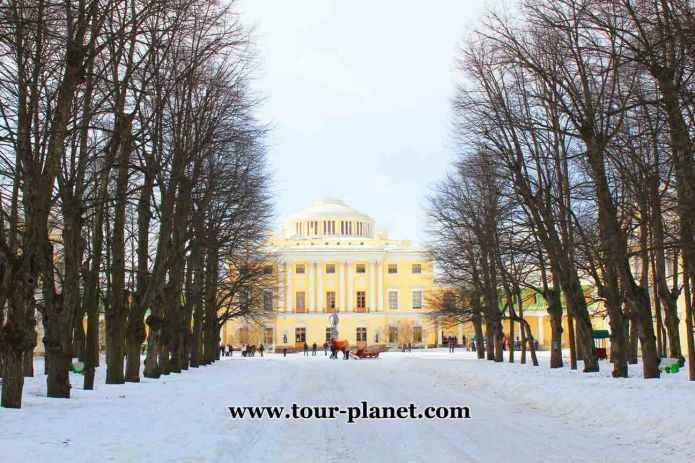 Pavlovsk Park has been famous since its creation as one of the best landscape parks in the world. The reason for the uniqueness of the park is the surprisingly accurate proportionality of architectural structures and landscapes. 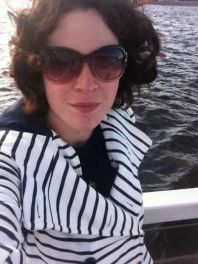 Other researchers believe that the key to success is a competent choice of location for the park - a hilly, non-contrast landscape by the Slavyanka River. he many turns of this river and the different heights of the banks made it possible to harmoniously enter the strict and classical structures into the surrounding nature. During the occupation, the Germans stole a lot of exhibits, and the palace itself was set on fire. 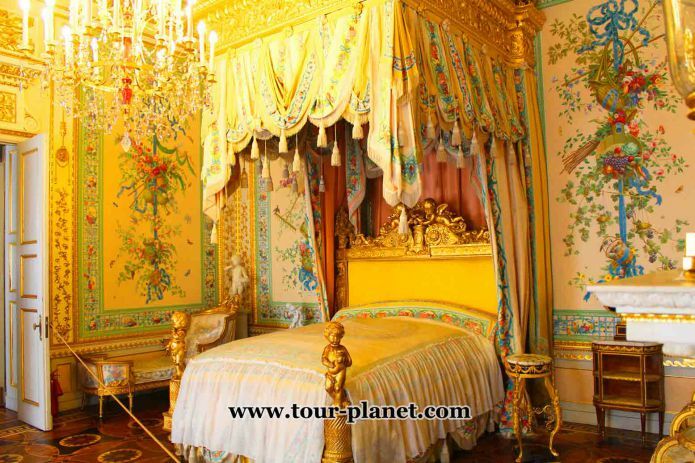 And only in 1957 several rooms were restored and opened for a visit, in 1978 the restoration was completed. Today you can visit 45 palace halls. from the metro station "Moskovskaya"
from the metro station "Zvezdnaya"
Pavlovsk park: daily from 06:00 to 21:00. Open from 10:00 to 18:00. The office hours are from 10:00 to 17:00. 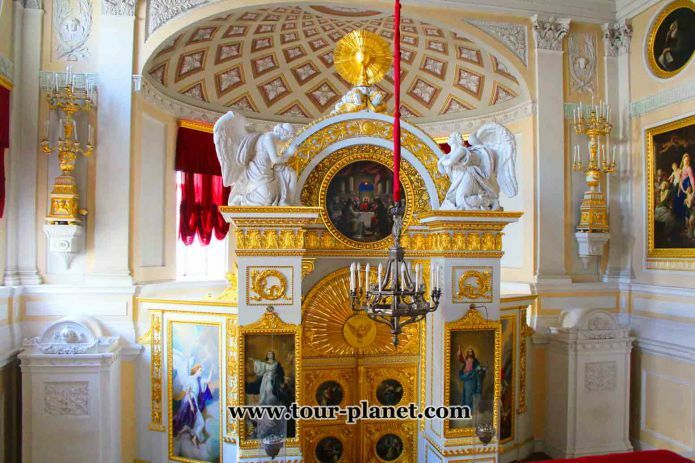 Russian tsars knew how to live on a grand scale, very rich and beautiful in this place. Very beautiful place, rich palace. There is a sense of calm in this beautiful place.